Emissions being released from a smokestack. Smokestacks became common during the Industrial Revolution. Smokestacks are a type of chimney, often used in industrial settings, that release the byproducts of combustion into the air. 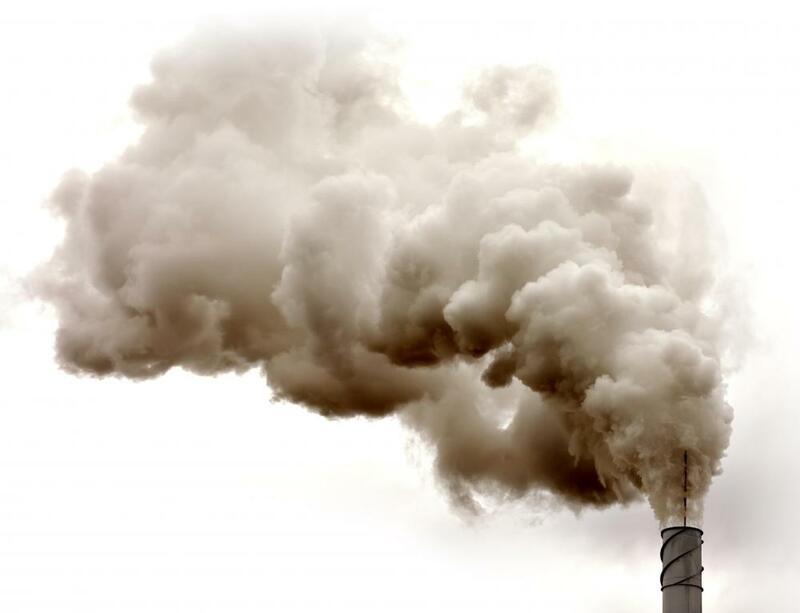 The gases emitted through smokestacks largely consist of carbon dioxide and water vapor, though some nitrogen and oxygen are typically present, along with a number of pollutants. A factory or industrial furnace can often be distinguished by its smokestacks, which are often built quite high to allow for a wider and therefore less concentrated dispersal of pollutants. Smokestacks were originally used not to disperse pollutants, but to increase the flow of air into a furnace, thereby improving its combustion. Because the air inside a smokestack is hotter than the air outside, it is also less dense. This leads to a pressure deferential between the air at the bottom of the smokestack and that outside the chimney, causing outside air to be drawn up into the smokestack and moving air through the attached furnace at an increased rate. This phenomenon is known as natural draft or the stack effect. Smokestacks must be built to precise specifications to provide adequate natural draft for a furnace. 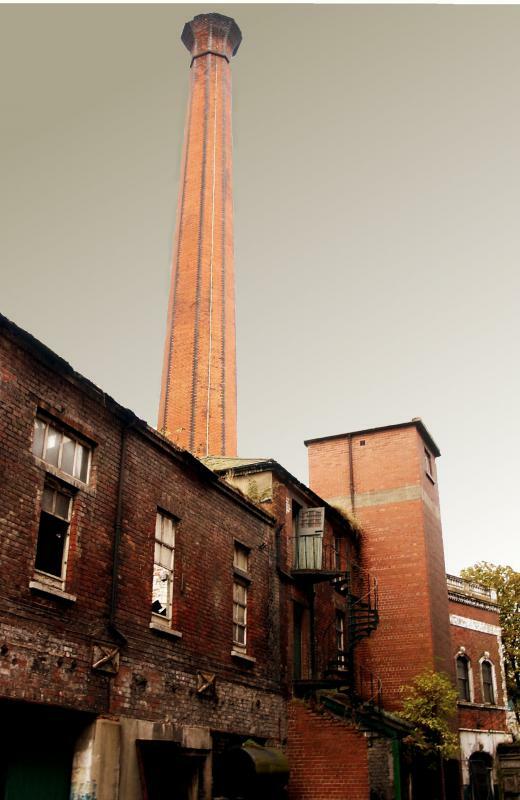 The pressure of the outside air, the temperature and composition of the gases leaving the furnace, and even the materials used to build the smokestack are all significant factors. A good amount of trial and error is often necessary to build an effective smokestack. Smokestacks were first used during the 17th century and became ubiquitous during the Industrial Revolution of the 18th and 19th centuries, often spewing noxious fumes into the city air. Taller smokestacks helped to remedy this problem, although not absolutely, in the 20th century, when fans replaced smokestacks as a way to increase air draft into furnaces. Today, some smokestacks exceed 400 meters (1,300 feet) in height in an attempt to maintain healthy air quality in compliance with government regulations. What Factors Affect Indoor Air Quality? How do I Improve Furnace Efficiency? What Was the Triangle Fire? In the early 70s, we traveled to Birmingham, Alabama frequently to see family. These were the days before so much industrial regulation, and the industry in Birmingham was going at breakneck speed. We used to joke that you could smell Birmingham 20 miles before you got there, if the wind was right. I remember going into town and seeing smoke of all colors spewing from smokestacks in the distance. The smoke came in red, black, gray, white and even pink, and the stacks were short, tall, thin and fat. Seeing Birmingham in that era meant you saw a lot of active smokestacks.